Kids run around and play outside more during the spring and summer and can breathe in bacteria, allergens and other toxins. This exposure can lead to respiratory problems such as asthma and allergies. My four-year-old daughter loves to play outside, especially during the warm spring and summer months. But, we have to be careful with her because she suffers from outdoor allergies. Grass, tree pollens and hay are among the things that set her off. When she is exposed to these allergens her eyes become red and itchy, her nose runs and she sneezes. When I found out about Kid’s Xlear nasal spray I was excited to be able to try this for Ciara this allergy season. I found the product very easy to use. When she came in from playing outside all I had to do was have her blow her nose and then insert the nozzle in her nose to release the spray. When I did this on a regular basis I noticed her allergy symptoms were virtually gone. How does Kid’s Xlear work? Xlear contains Xylitol, a naturally occurring sweetener found in plants and fruits and is produced in small amounts by the human body. Xylitol prevents bacteria from sticking to the nasal wall. Typical nasal sprays only contain saline which does not prevent bacteria from sticking. 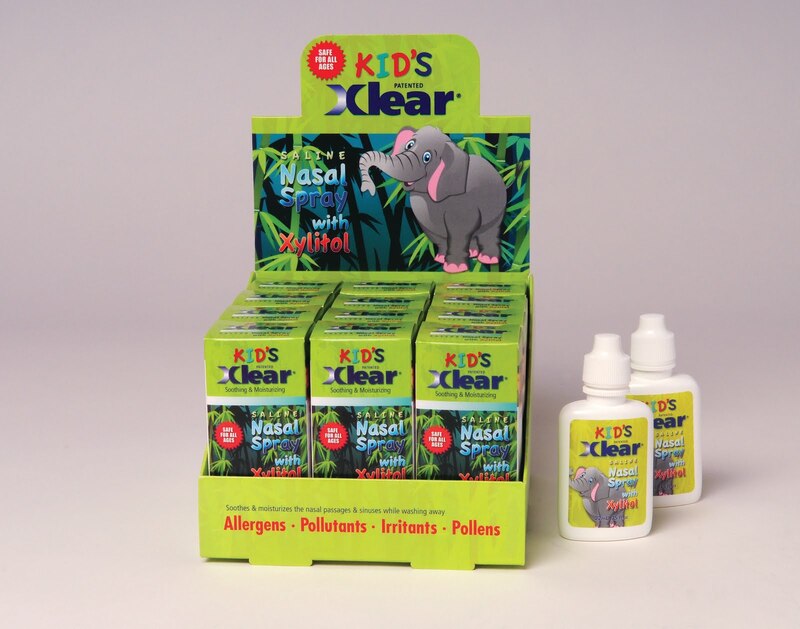 Kid’s Xlear nasal spray helps soothe your child‘s nasal passages while rinsing away bacteria, pollutants, and allergens from the nasal tissue. For every entry including extra entries please leave a separate comment. Winners will be chosen randomly from the comments and e mails that I receive. The contest ends on April 18 at midnight PST. *Disclosure I received a box of Kid’s Xlear nasal spray in exchange for this review. All opinions are 100% mine. This is just a great giveaway. I like products that use Xylitol. I'd like to try these products. Great promotion and blog, thank you! My email is jennifer.ruggiero@gmail.com. Everyone in our family has allergies. We could really use this prize for summer outings. We are a family of Allergy sufferers and my oldest daughter has Asthma as well so I would love to try this spray on my children. I'm a fan of Healthy Moms on Facebook user Lisa G.
I signed up for your Blog Frog Community user Lisa G.
I also joined the Healthy Moms Network user Lisa G.
my little one and I could really use these! I joined your Blog Frog community.